Alas, one of them kept falling off the line, landing on the hard concrete floor of the patio. Her loyal assistant couldn’t believe it either and was deeply concerned about this strange occurence. The Pixie thought about staying up late that evening, looking for moths. But then she thought again. 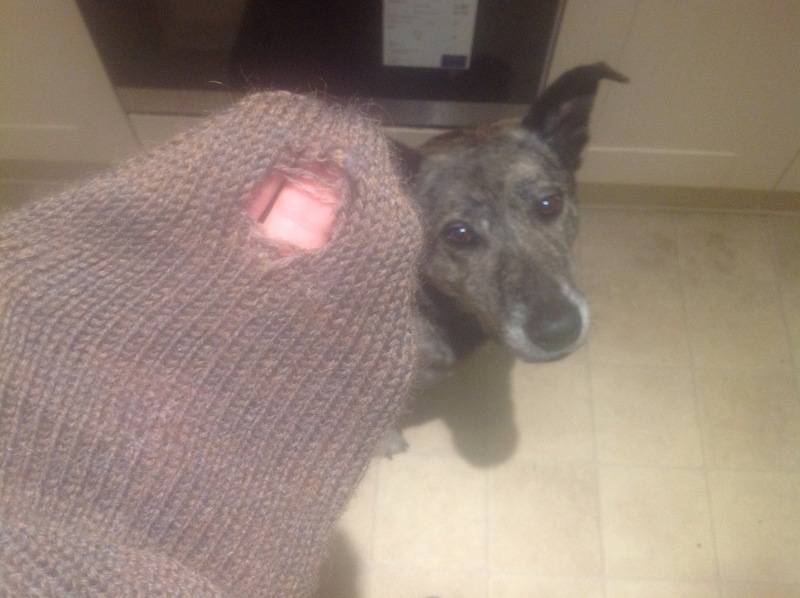 She remembered that she picked up that sock twice from the floor earlier on that day. She checked the sock blocker and realised that it has a tiny sharp pointy bit sticking out on that exact spot. So she concluded that the yarn must have snapped when the sock fell on the floor, on the sharp plastic edge of the sock blocker. Darn it! Well actually, no. She didn’t darn it. 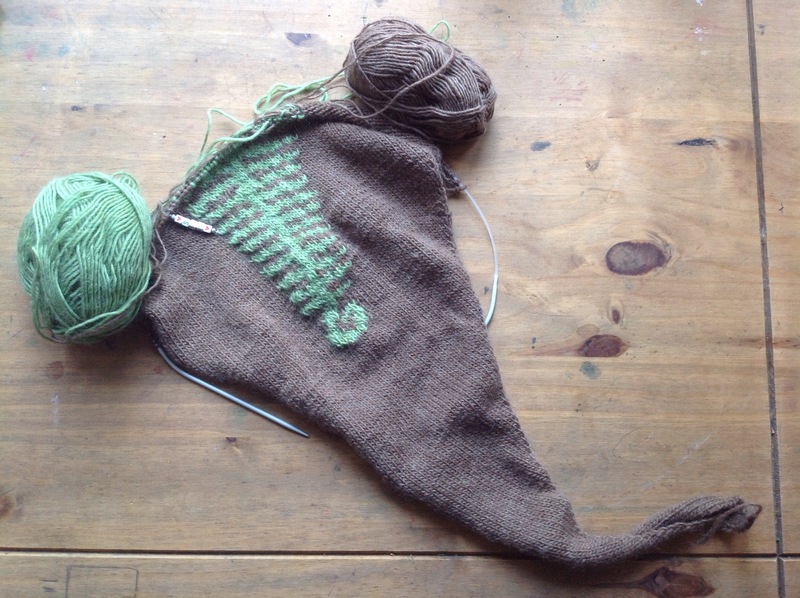 She unravelled it, and re knitted it. Early a.m. on the D day. But at the end, the husband got his socks on his birthday and they fit him perfectly. He declared that they were the best she had ever knitted so far and that they were “absolutely perfect“. hahaha, what a funny story…and ohlala I am curious about your ext project!! 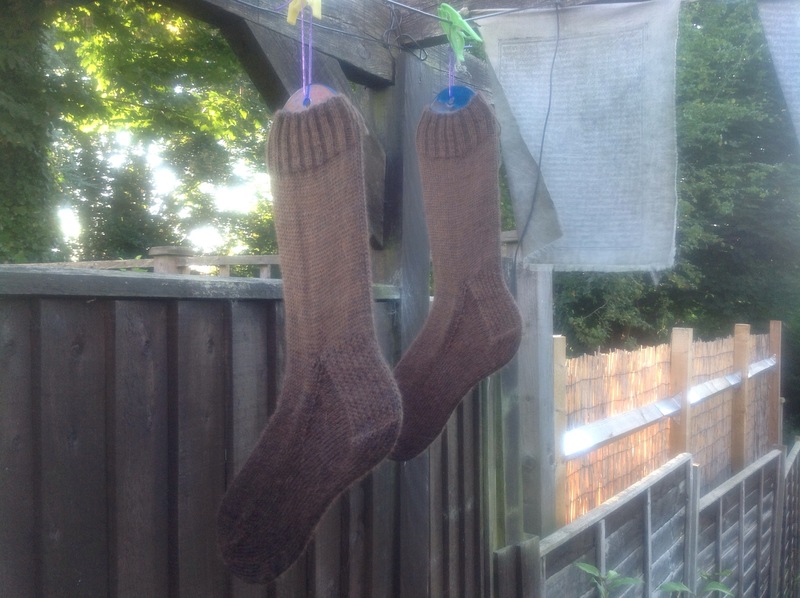 What a very devoted and dedicated Pixie to knit her husband’s socks three times. They look mighty comfy I must say. Oh good, glad you got it sorted. I was worried the assistant had nibbled on the Pixie’s socks.